We invite you to visit wooden Wang Temple built at the turn of the twelfth and thirteenth century. A walk will take about 7 minutes. We recommend to see St. Anne's Chapel on the slope Grabowiec. Anyone who will go round the Chapel of 7 times with water from the miraculous spring in his mouth can expect his/her dream come true. A walk will take about 30 minutes. 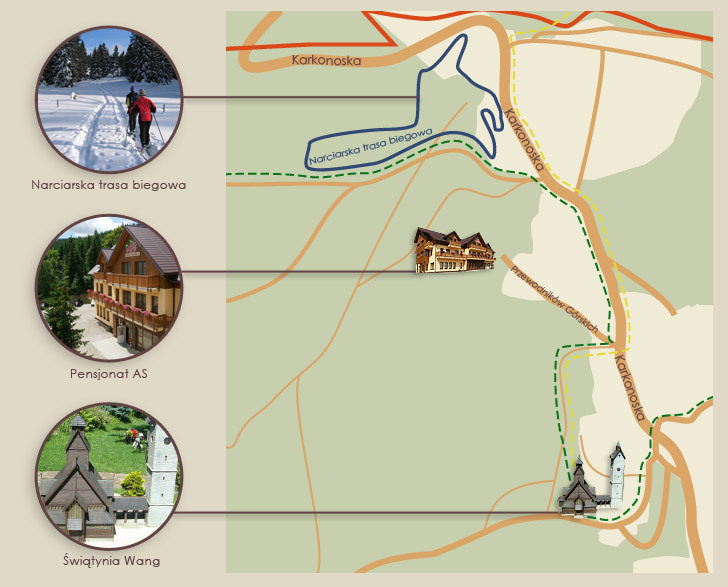 The highest peak of the Giant Mountains, the Śnieżka Mountain (1602 m above sea level) is at your fingertips. March takes about 2 hours one way.